In 1871 Irishman Luke Madden, who had ostensibly been a loyal Union man during the Civil War, made application to the Southern Claims Commission. His home during the conflict had been opposite the city of Vicksburg, on the Louisiana side of the Mississippi River. There he had suffered repeated loss to both sides during the protracted struggle for control of the region, and had even spent a number of months as a captive. His identification with the Republicans immediately after the war led to the issuance of a warning from the newly formed Ku Klux Klan– a remarkable official copy of which he had submitted to demonstrate his loyalty bona fides. Luke Madden was born in Ireland around 1835, and emigrated to the United States in 1847 during the Great Famine. For a number of years he made his home in Pennsylvania, becoming a naturalized citizen in Clarion County in 1853. By the end of that decade he had relocated south, and on the eve of war he was a laboring contractor. He and his team, which included his brother Patrick, had secured a job to undertake ditching and levee work in the vicinity of the Brown & Johnston Plantation in Madison Parish, Louisiana. He spent most of his time around the settlement of Delta, which lay on the west bank of the Mississippi directly opposite the city of Vicksburg. Sometime after the outbreak of the war, he took charge of the Plantation itself, and formalised his position as a lessee under the Regulations of the Treasury Department when the region fell under Union control. Throughout the conflict, Luke Madden sought to maintain his business interests in what was one of the most contested landscapes of the American Civil War. Ultimately, the conflict brought him opportunity and hardship, and he suffered at the hands of both Union and Confederate forces through the course of the fighting. His efforts to seek compensation after war’s end record his version of the story, in which he claimed his long-standing support for Union. 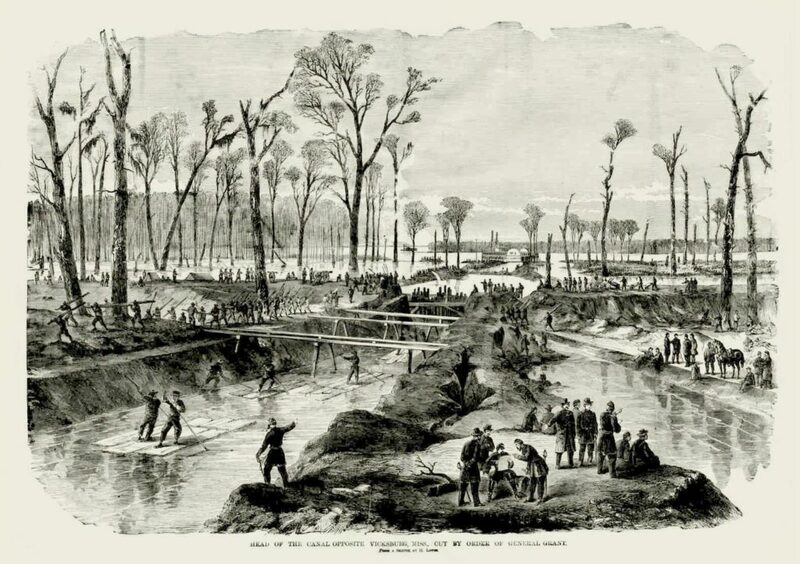 During the summer of 1862 Union forces began construction of a canal on the west bank of the Mississippi in an effort to bypass Vicksburg’s guns. The location they chose was not far from Delta. The mammoth undertaking ultimately proved unsuccessful, but the works themselves consumed massive resources. The 75 wheelbarrows and shovels that Luke Madden had sitting on the bank of the river for his levee work proved too tempting a target. It wasn’t long before the U.S. transport steamer Laurel Hill arrived and commandeered the equipment. It was to prove the first in a long-line of Federal requisitions of Madden’s property. Around the same time a Union officer, who Madden remembered as a First Lieutenant in the 4th Wisconsin Infantry, confiscated his rifle. Eventually the majority of Union troops moved on, but by early 1863 they were back. As Federal efforts to overcome Vicksburg intensified, the canal project was briefly reignited before mass manoeuvring became the order of the day as Grant sought to bring the city to heel. 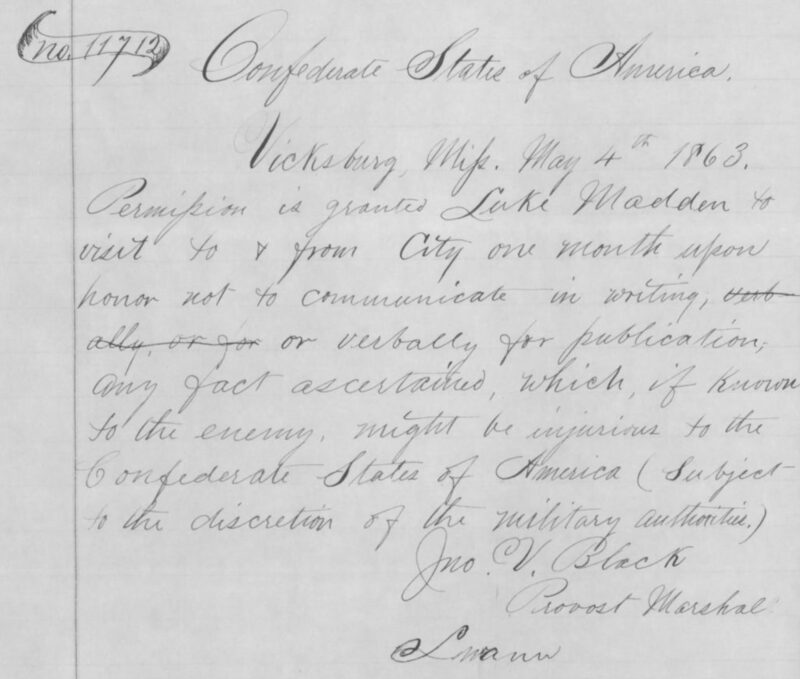 The reappearance of Federal soldiers, together with the lack of compensation he had received in 1862 was perhaps the catalyst for Madden’s decision on 4th May 1863 to seek a pass from the Confederate provost of Vicksburg. He needed one so that he cross the lines and drive his sheep to Redbone in Warrenton County, Mississippi, where presumably he sought to dispose of them. The timing of his departure coincided with the period when Grant’s forces began to close in for what would prove the decisive investment of Vicksburg, movements that encompassed fighting in Warrenton County. While he was gone, Federal troops, consistently on the look out for working animals, took eleven mules and two horses from his land in Madison Parish. Madden quickly passed back through the lines, seeking to determine “the condition of the negroes” on the Plantation and to see if they needed supplies. On 14th May 1863 he took the Oath of Allegiance to the United States. Immediately following the fall of Vicksburg on 4th July 1863 Luke Madden went to work for the Union Quartermaster’s Department based there. He ran an express service and helped to supply newspapers and other items to naval officers stationed below the city. It was while undertaking this business that General John A. Logan took one of the Irishman’s better horses, promising that it would be returned after he completed a raid to Rocky Springs, though the animal never was. 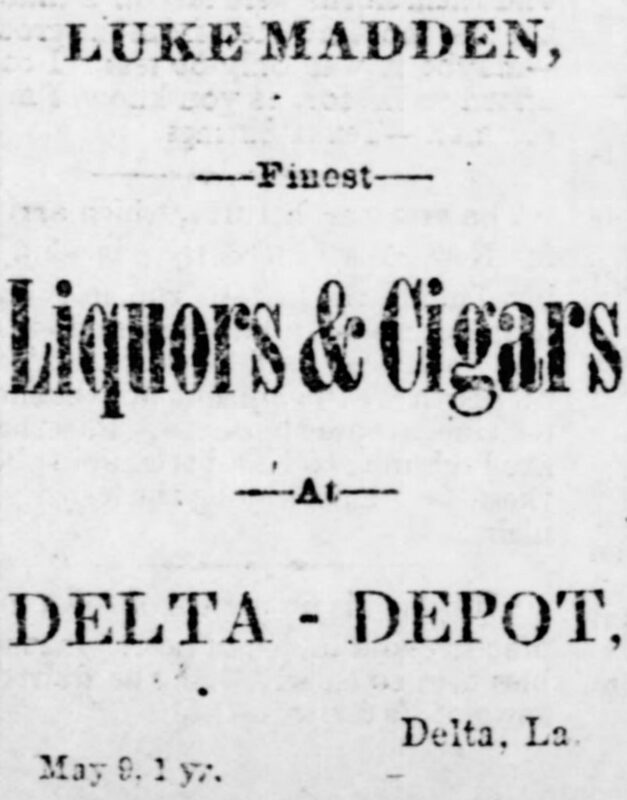 After two months in Vicksburg, Madden returned to Delta where he continued his farm business and operated a Government woodyard to supply Union needs. Even though the front lines moved on the war was never far away, and as it proved the worst was yet to come. 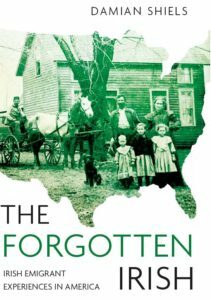 On the night of 9th September 1864 a band of Confederate “guerrillas” swept down on Madison Township, confiscating goods from those they believed to be supporting the Union. At Luke Madden’s woodyard they made off with 12 mules, 2 horses, 2 wagons, an assortment of blankets, clothes, tobacco, coffee, flour and $1700 in cash. Led by a man known as Captain Disheron or Disheroon, reportedly a paroled prisoner, they also took Madden captive. While the supplies were disposed off in Franklin Parish, Louisiana, the captured man spent the following months in Shreveport, Louisiana and Tyler, Texas. He was not released until 27th May 1865, when he was exchanged at Red River Landing. I have known the claimant since the fall of 1863…I planted in 1865 on the plantation adjoining Brown and Johnson’s where claimant worked. Claimant had the reputation of being a man loyal to the United States Government. I am a loyal man, I opposed secession, I was not at home when the vote was taken on the adoption of the secession ordinance. I resided in April 1861 in Vicksburg, where I now reside, I never gave a dime for the aid of the Confederate Government. I have been persecuted for my Union sentiments, was twice arrested by the Rebels. People were afraid to speak to me on the street lest they should be suspected of being Union men. My whole family was ostracized on account of my Union sentiments. 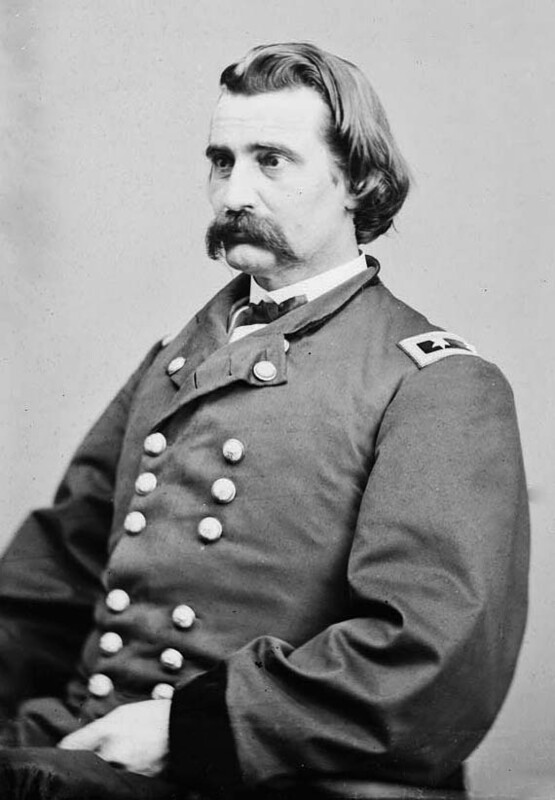 I organized in the year 1863 about the tenth of July a club of Union men, which club was recognized by the Commanding General…and at his request witness and Judge Houghton made out a list of Union men…Mr. Madden’s name was not on that list, because he resided in Louisiana. About the 1st September 1863 I was delegated by the Union Club to go to New Orleans and get the papers necessary to the establishment of a Loyal League in Vicksburg. I established the League and was one of its officers. I am at the present time  President of the Grand Council of the Union League of Mississippi. I have acted with the Republican Party ever since the war, I was for two years a member of the State Republican Executive Committee. I was Chairman of that Committee from 1866 to 1868. I was a member of [the] Constitutional Convention in 1868 and am now State Senator. I have known Mr Madden continually since 1863. Know that he has acted with the Republican Party since the war…I have heard himself as decidedly opposed to the Rebellion and in favor of the Union cause. The claimant was regarded by his loyal neighbors as a Union man. I do not know that he was ever molested or threatened on account of his Union sentiments. I do not know that he ever contributed anything to the aid of either the Federal or Confederate Government. Luke Madden’s claim amounted to one horse worth $300, 12 mules worth $1500, two horses worth $200, 72 wheelbarrows and shovels worth $324 and a rifle worth $20 to a total of $2344. Although most of his claims were accepted, his valuations were not, and he was ultimately awarded just $780. Whatever the reality of his Union support (be it ideological or opportunistic), the fact that the Irishman was imprisoned by Confederate guerrillas during the war suggests he was seen as someone who was too overt in his support for the Union war effort. It was likely his support for the Republican Party (individuals derogatorily referred to by Southern opponents as “Scalawags”) that drew the post-war ire of the Ku Klux Klan, leading to the ominous threat with which he was served. Mr. Luke Madden, of Delta, La. a great favorite in this city where he is mourned by many old comrades and friends died Sunday morning at 2 o’clock, after a short but violent illness. He was a Confederate veteran, having enlisted as a member of the Madison Tips at the outbreak of the war, and his record in the service was unexcelled. Luke Madden is not a common name, and the fact that both individuals were in business in the same relatively small place seems an unlikely coincidence. 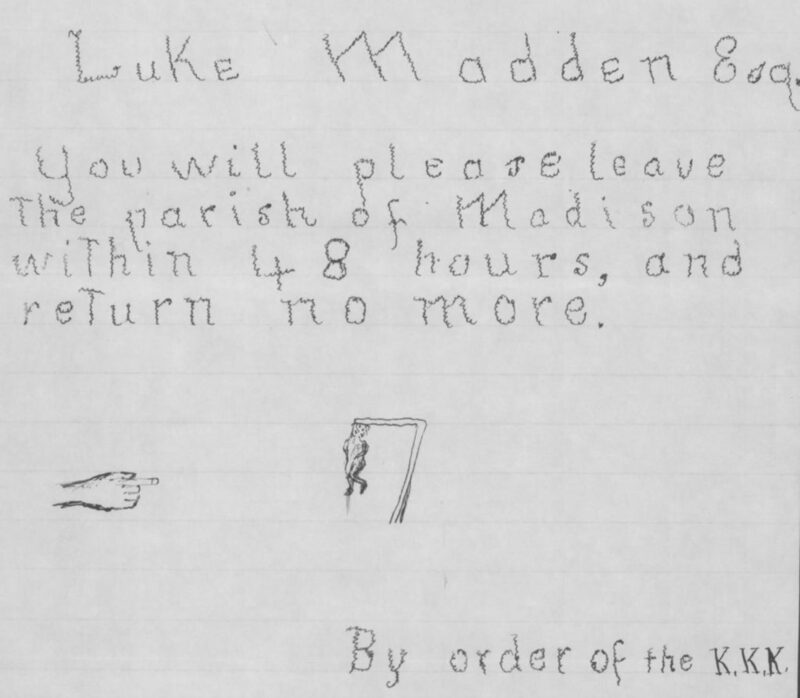 Yet the Luke Madden described in the 1895 obituary could not be further removed from the Luke Madden portrayed in the Southern Claims Commission, the man arrested by Confederate guerrillas and threatened by the KKK. Perhaps they are different people, but if not, it raises many intriguing questions about the reality of his life, and how he chose to portray himself to different groups.